Roughly three years after Wilfrid Laurier University began talking with Milton about the possibility of opening a satellite campus, the waiting game is still on. While Laurier already has four different locations — in Waterloo, Kitchener, Brantford and Toronto — the institution feels it is ready to take on a fifth. The wait to begin expanding in Milton, however, was halted earlier this year when the Ontario government released a plan to build three new satellite campuses. Post-secondary insitutions will have to apply to an upcoming “Satellite Campus Policy” that will outline the application process for pre-existing institutions to go through if they wanted an expansion. “[The new] policy will articulate, from the government’s view, what is meant by satellite campus, and also set out a process by which universities that want to create satellite campuses can work with,” explained Brian Rosborough, director of government relations at Laurier. 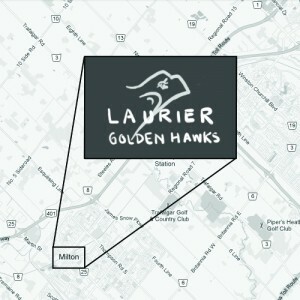 So for now, Laurier is playing a waiting game to see whether or not it will qualify to expand into Milton. Rosborough also explained to The Cord that once the new application system is put in place, it is unknown how long universities will have to wait until they get a go-ahead to build new campuses. However, he believes that Laurier has a good chance of being chosen over other institutions to expand. “Laurier is viewed very positively by the province for the work that it’s done [with multi-governance],” he said. Laurier has chosen Milton as a potential location for a new campus because of its growing population, location within the Greater Toronto Area and need for a post-secondary institution of its own. A memorandum of understanding has been signed, and re-signed, between Milton, Laurier and Sheridan College, who is also looking to expand into Milton. This means that all three parties will continue to work together in the hopes of moving forward with their programs. In terms of programming for the Milton campus, Rosborough said that no decision has been made yet as to what programs would be offered at the new campus. “The decision about our academic future is really invested with senate … but I think the prevailing view is that we would need to provide programs that are complimentary to what we have in Waterloo and Brantford, and that students [at all campuses] would have access to the full array of Laurier programming,” he explained. Chris Walker, vice president of university affairs at the Wilfrid Laurier University Student’s Union, echoed Rosborough’s comments on the ambiguity of how a campus in Milton would function, with regards specifically to WLUSU, since it’s still up in the air. While Walker stated that it’s still too premature to comment on what activity WLUSU would have on the potential Milton campus, he added that its function would be very similar to that on both the Waterloo and Brantford campuses. However, until the new government systems are put in place and decisions to expand are made, Laurier will have to continue to wait until any official plans can be made.